Today is the day we all stand together a create a revolution to protect our right to be free, liberty, freedom of speech, and innovative evolution. This is why I decide to put together the most useful resources about SOPA and the PIPA bills, not just to help you understand it, but also to educate you and give you the tools to help you fight back just like other million web users. Before you jump to the guide below I recommend you to visit Google's SOPA & PIPA Protest Page and sign the petition and share the page with your peers on Twitter, Google+, and Facebook. The Resources At Your Disposal. Google's Graph About What Supporters Are Doing! SOPA Means Less Business Start-Ups And The End Of Innovation! 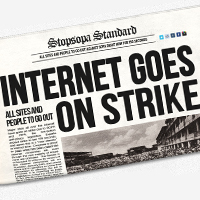 How A Site Gets Blacklisted And How It Will Impact Businesses Globally! 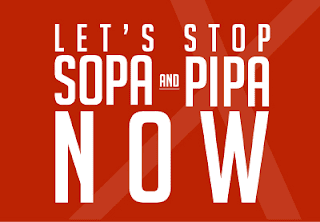 The best video about SOPA and how to stop it! Here some great websites you can visit to get even more facts and evidence you can use to help support this movement. One Candle In The Dark. Now is all in our hands if we want to succeed! 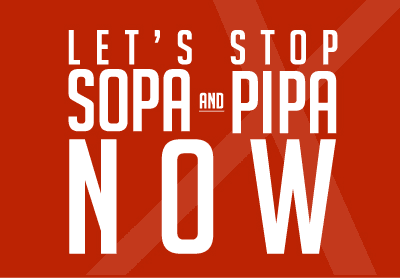 Let's Talk SOPA and PIPA on Google Plus or Facebook!